4952 1/2 Del Mar Ave. In California, only L.A. is larger than this city of 1.3 million people. 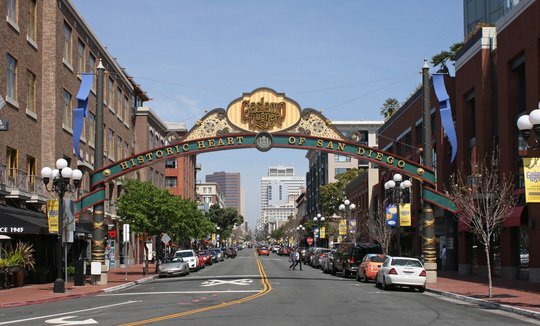 San Diego has been famous for many different reasons over the centuries. It was settled by Europeans in 1769, and formed the point from which the rest of California would spring. Right on the border with Mexico, the city was in fact the property of the southern country until the Mexican American War. San Diego is a city with beautiful weather, beautiful beaches, arts and culture and a rich educational tradition. It has one of the highest rates of higher education in the country, and in large part that is due to the availability of higher education within the city itself. The University of San Diego and San Diego State University are just two of dozens of private and public universities, community colleges and professional colleges within the city. A very good time to look for an apartment in San Diego is in the winter, between about December and March. This tends to be the time when rents hit their lowest points. This gives you a great opportunity to find a quality place and lock into a decent rate over the duration of your lease. San Diego is a city with a year-round fairly stable population, which means that there aren't really any best times to look. However, anecdotal reports by people who have lived there for years suggest that December through February is the best time to look. By the time summer rolls around, you'll find that things get a little tighter, and you may have a more difficult time finding a suitable place. San Diego is set up like most of southern California, which is to say that driving is a better way to get around than public transportation. There are bus routes, and a light rail transit system, but the coverage is not as comprehensive as in cities where the majority of citizens rely on the public transit systems. If you don't have a car, check ahead to find out if and where the public transportation runs to ensure you can get to your destination. San Diego has several world-class tourist attractions that are well worth visiting when you're new to town. The San Diego Zoo is widely acclaimed as one of the best in the world, and Sea World is a globally recognized maritime experience. If you enjoy the beach life, the surfing, swimming and boating around San Diego are enjoyed year round by the locals. The city's NFL and MLB teams also put on a great show.